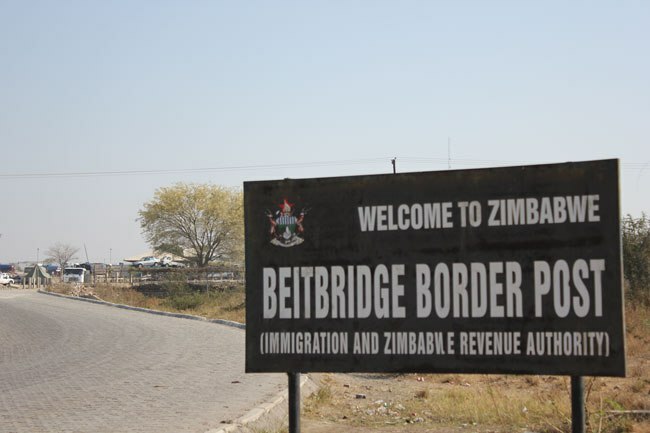 The Beitbridge border post will be upgraded to improve traffic movement between South Africa and Zimbabwe‚ the SA National Roads Agency (Sanral) said on Thursday. Sanral spokesperson Vusi Mona said the plan was to establish a one-stop border post at the transit point which is South Africa's primary gateway by road into the rest of the continent. According to Sanral‚ an average of 15,000 people and 500 trucks cross the border every day. "The N1 freeway connects Beitbridge with Limpopo and into the Gauteng economic core. Just to the south of the border post construction of the Musina ring road - an 8km single-way road - is nearing completion‚" Mona said. He said the upgraded border post would contribute to a better flow of people and goods within the southern African region. "A decision was taken to upgrade the border post and expand the infrastructure through a $240m contract awarded to the Zimborders consortium. The project includes upgrades to the roads to and from the crossing‚ perimeter fencing‚ gate controls‚ parking areas and upgrades to security and lighting systems." Mona said the border post will fall under the jurisdiction of the newly established Border Management Agency. He added that the new border arrangements will also enable Sanral to collect tolls on traffic travelling in a southerly direction from Beitbridge. The busy border post is at times a conduit for the movement of illicit goods. Customs officials at Beitbridge intercepted explosives and illicit cigarettes last week. The South African Revenue Service (Sars) said that customs officers had intercepted them in a foreign-registered panel van travelling from Zimbabwe to South Africa in a random search. One person was arrested for possession of suspected explosives.